I'm definetely buying this one, having missed out on the 1971-2005 12 LP Box set from 2010. The new box looks like a bargain! Edited 1 time(s). Last edit at 2018-04-28 13:00 by GJV. Yep - if you read this article: [www.uDiscoverMusic.com] it looks like that Abbey Road engineer Miles Showell tries always to do his own (digital) Masters to achieve the best possible Audio-quality. Maybe the HD-Downlaods are derived from his Masters too. I tried to order this, but outside America it's no free p&p costs at all (you only discover this when you checking out), to The Netherlands it is $103,61 p&p costs, that's 85 euro, so there goes the benifit. Edited 2 time(s). Last edit at 2018-04-29 13:51 by GJV. At [www.Grooves.land] it's €365.28 / £321.45 / $444.91 (worldwide free delivery according to their website). I`m looking forward to this release.I liked the sound of the released Exile -Abbeyroad release very much. So this box could be a great improvement soundwise. Be sure to have a decent hifi system. Otherwise you won`t notice the soundimprovements. I´m just curious if later the albums will be sold seperately how it happend with other boxsets/artists. So I don`t have to buy Exile twice and could pick some of the albums. Given the hint by sound engineer Miles Showell posted at Steve Hoffman forums, Exile on main St won't be the same master as the previous EOMS half speed release. It's currently cheaper...however when it was first released I got it for about $150 US. For some reason this box set became more expensive than the 60s set. For the longest time 1964-69 was far pricier. Thank You for the info,kowalski. I was just wondering nobody was asking this on 7 pages here. So we 'll get two different EOMS half-speed masters from AbbeyRoad within two years? Strange... but interesting to compare. I first said , I become sickness about re-re-issues. Well.. I decided to buy one. Edited 1 time(s). Last edit at 2018-05-01 09:48 by tioms. New Vinyl: Voodoo and Bridges: will they be available individually? Re: New Vinyl: Voodoo and Bridges: will they be available individually? I doubt any of the albums will be available individually. I haven't seen any of the 1971-2006 box set available separate other than at second-hand stores. That's how I got a nice copy of A Bigger Bang. My advice is to check independent/second-hand record stores/eBay the weeks or months following the release. Will mean disposition be on the Voodoo Lounge vinyl? Can't believe I didn't buy the bridges and no security vinyl at the time. Did get the voodoo and stripped vinyls. But went CD in 1997. Mean Disposition was included on the 2010 reissue. I was fortunate that I kept up with the vinyl releases, thinking one day soon vinyl would be all gone. Who knew there'd be such an amazing renaissance? Where have you gleened this info from??? 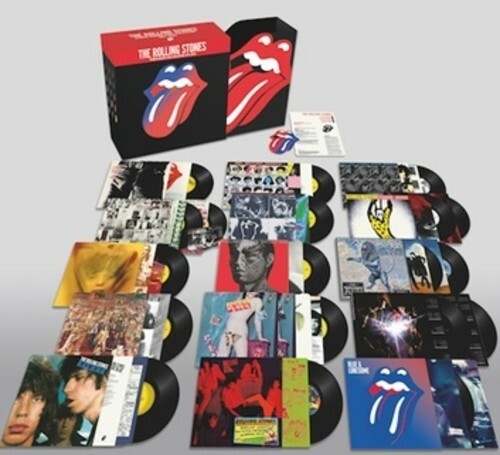 ARE you saying some form of comp for THE STONES box IS coming??? Maybe an updated 'Jump Back: The Best of The Rolling Stones' as 2CD. While the original 'Jump Back' (25 years now) was subtitled '1971-1993', a new compilation could contain the best Tracks from 1971-2016 then. You are correct, for the first half speed cut I did for “Exile On Main Street” I was tied to the most recent remastered audio. This was a decision taken by the band’s management as it was the officially approved audio at that time. In an Ideal world I would have preferred to have had access to a flat transfer from the masters, but that was not available at that time. The good news for this box however is that there was a very different approach. While I was not granted access to the original master tapes (some of which are getting pretty worn and should be used as little as possible to prevent further damage) I was loaned an archive hard disk by the management. On this disk were two separate sets of high resolution flat transfers from the master tapes for each album where the source was analogue tape (two or three of the later albums are digital recordings and these were digitally dubbed at their original sample rate to the hard disk). The two archive transfers were DSD and also 24 bit 192 kHz PCM (a few were 24 bit 176.4 kHz). I was told to listen to both and choose whichever one I felt was the best to use. In most cases the DSD transfer won, but not always. Once I had chosen, I was given free range to just ‘do my thing’ which was remarkable freedom. I had no instructions from the band’s management or from Universal other than to do it as well as I could. At no point was any digital peak limiting applied to these albums as this is never good for audiophile releases and is completely useless as a source for vinyl records (full scale digital audio is too loud to cut from, so it is pointless to smash it against the brick wall only to drop the level still further for the cut. Adding limiting would have been the worst of all worlds, increased distortion and “mush” with no level increase). On some songs I did apply some gentle tube compression (I have an analogue tube AT-101, which is a very faithful Fairchild 670 recreation, it sounds wonderful, almost certainly because of the 22 tubes in it). This compression was for artistic effect and feel and not to over hype the music and make it too pumped. I am no fan of extreme compression but like salt and pepper in cooking, a little bit carefully applied at the right time in the right quantity can really improve things. I was also loaned a set of original pressings for every album which was an excellent reference point as I could play these on the calibrated system on the lathe while also listening to the files. My goal was to make these new cuts at least as good as the originals and hopefully better. This is not as easy as it sounds due to the wear on some of the tapes. 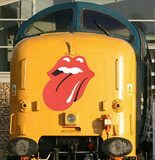 Essentially, for the original cuts, the tapes were obviously in mint condition which is a huge advantage for the original pressings, but I have a far cleaner signal path than was available to the original cutting engineers which helped me. I am happy that I achieved my goal. Management and Universal did not listen to anything until the test pressing stage when the decision was taken to proceed, thankfully the feedback was good (had they not liked it, the box would almost certainly not be happening). I hope all of the above answers your question and if you get a box that you are pleased with it. Just so you know, the latest album in the set was not remastered but all of the others have been worked on by me. It would be nice if Miles Showell would be allowed to give us a list of the archive transfers which he has used in the end for his Remasters. Did anyone see it cheaper than this? Saw on grooves.land that the price is now 361,89 Euro (including shipment). That´s a good question. 360€ is a decent price, much cheaper than on European Amazon... Any other offers as good as this one? At the very 1st day, just after announcement, it was listed at amazon.com @ $179. some lucky guys managed to get it at this price.